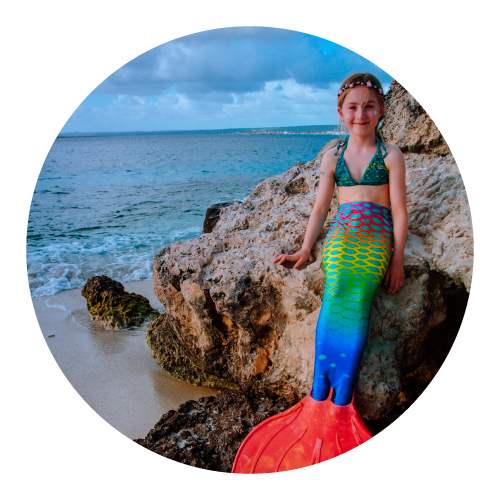 Learn what it means to be a mermaid or merman, how to swim dolphin kick, swim with a monofin or tail and practice your first mermaid tricks, strokes and poses. Training and learn the correct technique. How to hold your breath and relax in the water. • 8 Underwater Go Pro photos. We offer fully custom mermaid expeirences.